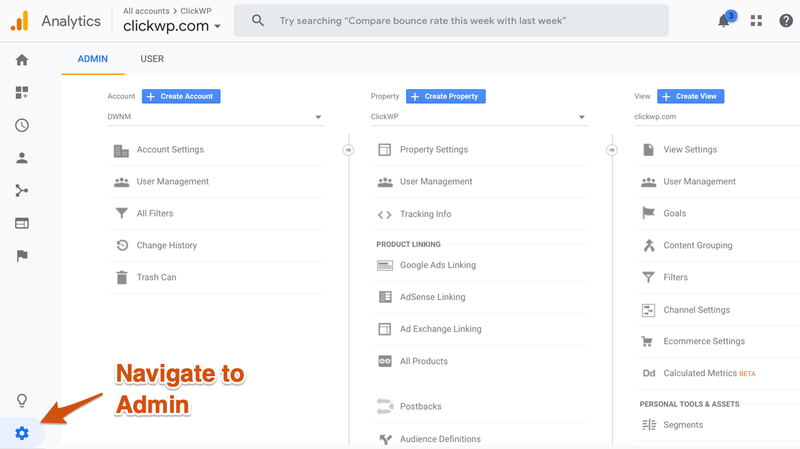 Add ClickWP to your Google Analytics account so we can help you configure your GA tracking code, setup goals and filters, and more. 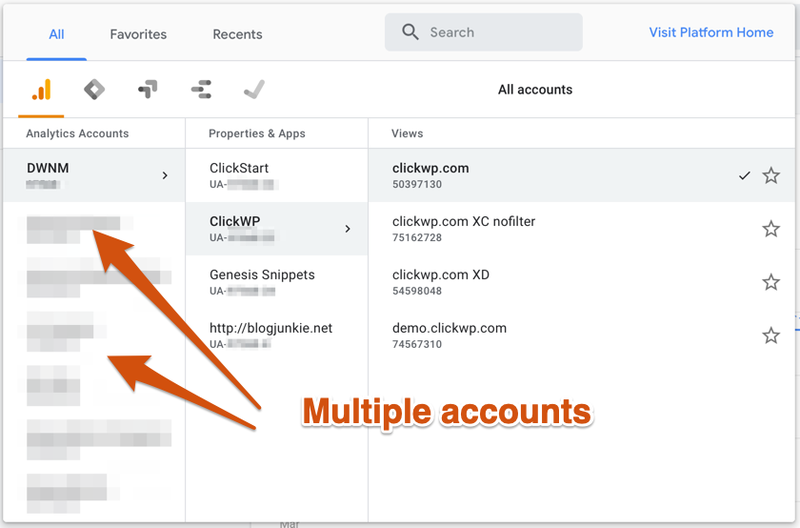 Follow these steps to add grant ClickWP access to your Google Analytics account. Next, click the Admin button at the bottom left of the screen. On the Admin screen, you'll see 3 columns corresponding to the Account, Property and View levels. Please add ClickWP as a user on the Account or Property level so that we have enough privileges to complete our tasks. Click on User Management, then add a new user. 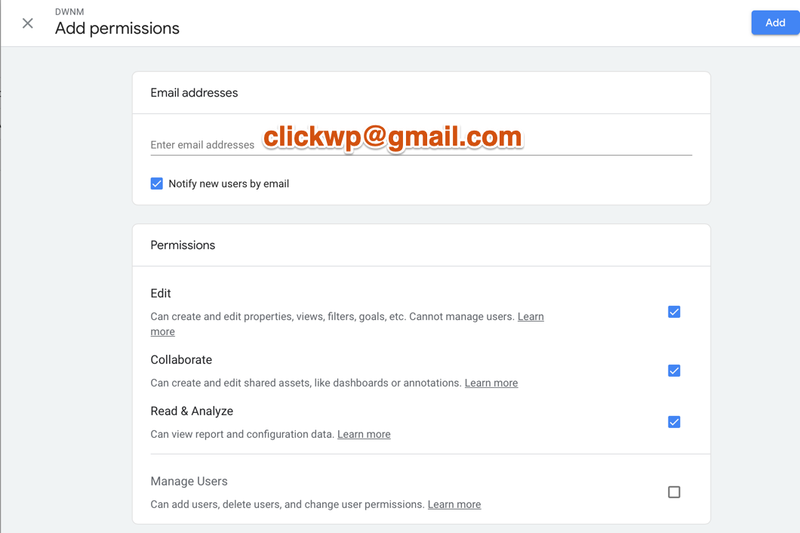 Enter ClickWP's Google account address (clickwp@gmail.com) and give us permissions for Edit, Collaborate, Read and Analyze. Click Add, and then Save Changes when prompted. You've now added ClickWP to your Google Analytics account.